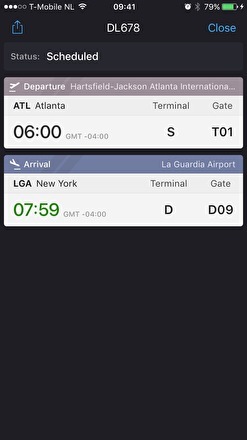 Flight Board turns your iPhone or iPad into the Arrivals and Departures board for any airport in the world! 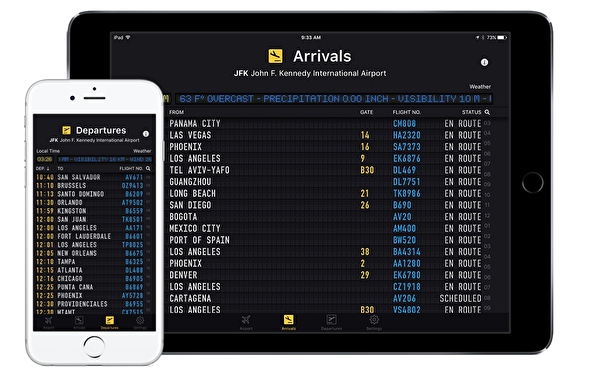 Turn your iPad or iPhone into a Arrivals | Departures Board for any airport in the world! Covers over 16.000 airports and 1.400 airlines worldwide. Instantly narrow results via an exceptional search interface. Switching between Departures and Arrivals boards is easier than ever. Flight Board is a great app for the frequent flyer. 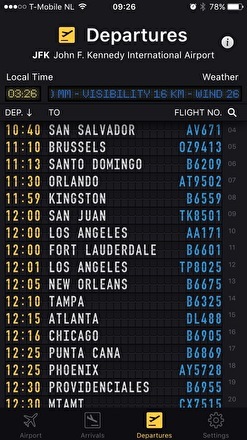 Flight Board shows all the flights departing from and arriving to all the airports in the world. 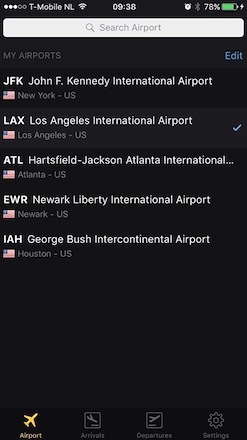 Just select your favorite airport and Flight Board gives you arrival and departure information in real-time.